The Conservatives have promised that Professor Tim Briggs’s will get the funding he needs for the Royal National Orthopaedic Hospital in Stanmore. Both Andrew Lansley, shadow health secretary, and Tory parliamentary candidate for Harrow East Bob Blackman have spoken this week about how they would guarantee the £60m needed to make much-needed improvements to the hospital. But while they promise that they will commit to it if elected, Blackman may have to deal with Professor Briggs as his opponent in the general election. Earlier this month Briggs made headlines by saying he was considering standing as an independent challenger to Labour MP Tony McNulty. The Department of Health promised to find the money, but Briggs has not entirely ruled out a campaign. One wonders if this will be enough to discourage him. 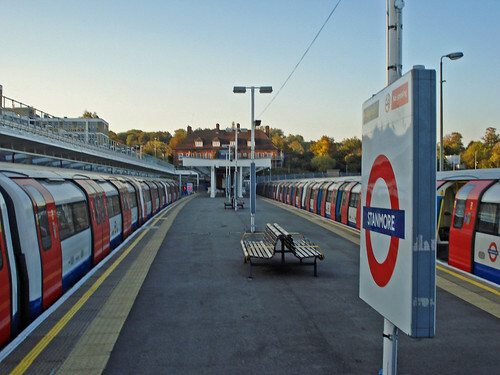 Spurred on by the news that an aggrieved doctor may mount an electoral challenge to my local MP I have decided to create a new Stanmore-centric political blog. In the run up to the 2010 general election I will look at the political issues that impact my ward (Stanmore Park), my borough (Harrow) and the constituency (Harrow East) in general. Harrow has been hitting the headlines in the last year not least because the local MP is Tony McNulty, who became a very public name during last year’s expenses scandal when he was ordered to repay ten grand for claiming his parents house as a second-home, when it was just eight km away. McNulty has a majority of 4,700 and the seat is an interesting one; traditionally Conservative held, McNulty entered with New Labour in 1997 and has held a series of ministerial posts since, most prominently as Home Office and Employment Minister. Given his fortunes have linked firmly to Labour’s in general (he won fewer votes in 2005 than 2001) Harrow East is an interesting constituency to study as a microcosm for the election as a whole. Over the next few months I hope to highlight news and views of interest, get in touch with political figures in the area and find what Stanmore and the rest of the constituency think about them. Who knows what will happen at the election and after. I don’t, but I can’t wait to find out.